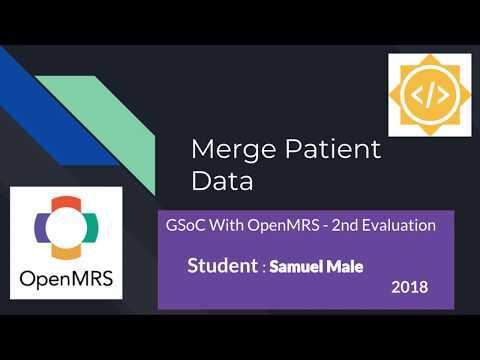 Its now seven weeks down the road since I begun working on the Merge Patient Data Module. I think I have been slow with progress. This has been cause of some inevitable blockers. However, lots of work has been done this week. I set up my dev environment on a new Platform(mac OSX). Though my performance decreased, I spent sleepless nights configuring stuff and getting used to the platform. More development. Last week I had a bug that blocked me for a while. I'm serializing the data using the gson library. However I was facing a challenge dealing with generic types. I realized I invested more time trying to fix the bug than moving forward. With this model, the module perfectly exports and imports Patient data from one Openmrs instance to another. Currently I'm working on the audition of the module Operations. I anticipate that this won't take me long then I proceed to the Configuration Services. I'm looking forward to finishing with both the Audit and Configuration Service implementation by 9th this month. By the way I'm excited to inform you that the module currently offers the basic functionality inline with the project objectives though more work is still needed at the UI to improve the end User Experience.